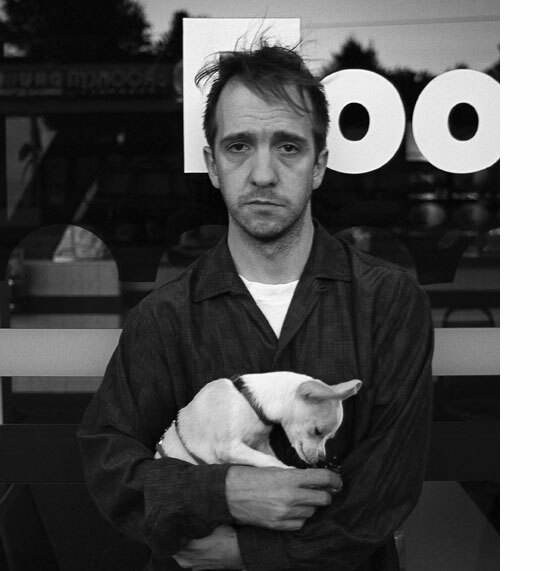 Amid the dreary, dumb-as-dirt rap(e) rock landscape that passed for mainstream “alternative” music back in the late ’90s, cabaret pop singer and songsmith Stephin Merritt stood out like an endangered hitchhiker on the ‘roid rage highway. That tends to happen when you’re openly gay, tote around a pet Chihuahua named “Irving” (after composer Irving Berlin), and — just to make life a little less easy for college DJs everywhere — you cheekily give one of your several on-again, off-again synth-pop projects a nearly unpronounceable moniker (the 6ths). And then for good measure, release a pair of albums that are nearly as hard to manage verbally (1995’s “Wasps’ Nests” and 2000’s “Hyacinths and Thistles”; go ahead, try saying those titles out loud three times fast, I dare you). But the set, released toward the end of 1999, quickly became something else too: a deliciously detailed, style-hopping meditation on the vagaries of love, and all of the folks (me included) who willingly fall into its tender (and not so tender) trap. The ambitious set — anytime you put out an album with nearly five dozen songs, it deserves to be called ambitious — topped many year-end lists, mine included. Back in 1999, I gave it my vote as my Numero Uno pick for best album of the year in the annual Village Voice “Pazz & Jop” critics’ poll (it finished at number two overall that year behind Moby’s “Play”; for perspective, context, or just kicks, my complete ranked album list from that year’s Pazz & Jop poll is included below for the completists and the curious). Merritt’s carried on with other worthy projects and more music, of course. But “69 Love Songs” remains his “Slanted & Enchanted,” his “Exile In Guyville,” his “Tommy.” It’s an enduring, watershed work. Five years ago, when Merritt’s label, Merge Records, reissued the package for the first time, on limited edition vinyl, it sold out quickly (the CD box set remains in print). 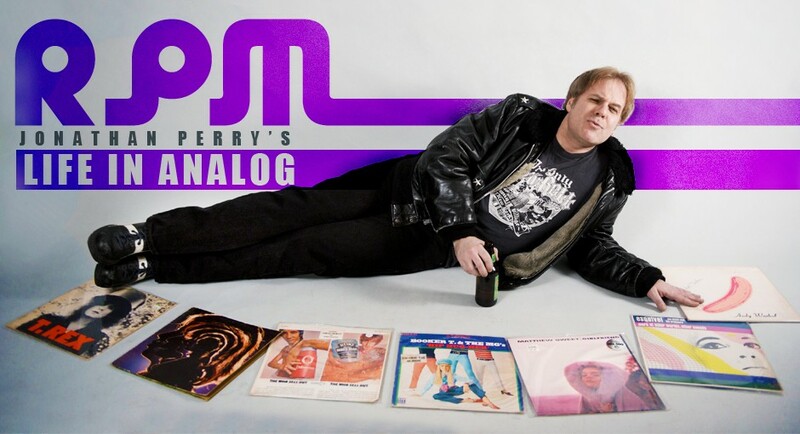 Now comes the news that Merge is gearing up for a new “69 Love Songs” deluxe reissue campaign — this time with the first, pre-order run of 1,000 copies being pressed on colored vinyl (for geeks like us who care about such things) and the remainder on standard black vinyl. The whole shebang drops about a month from now, on November 9. When I came across this little notice in my inbox the other day, the sensation was one of private, giddy anticipation, as well as a familiar old tingle. The news felt a little like stumbling upon a half-forgotten love letter that you savored, cherished, and then, eventually, tucked away in a drawer with the rest of your memories. (Or, in my case, stacked in a massive filing cabinets stuffed with CDs). With our appetites whetted to again hear the work that has tickled, teased, and pleased listeners for the past 15+ years (and if you haven’t heard it yet, now’s a great time to remedy that hole in your soul), here’s a time-capsule interview I did with Stephin Merritt shortly after “69 Love Songs” was originally released, and the singer-songwriter and his band were embarking on a short tour to perform “69 Love Songs” in its entirety. 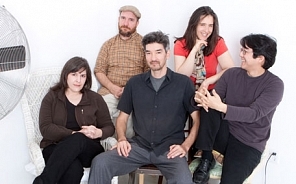 Although based in New York City, Merritt and Magnetic Fields’ band mate Claudia Gonson had grown up in and around Cambridge and Boston, and they were headed back here to play their old stomping grounds. When I caught up with Stephin by phone, that homecoming alone apparently hadn’t made Merritt feel all warm, fuzzy, and smitten. He had recently come home after a visit with his neighborhood dentist. Pulled wisdom teeth and a measure of pain were, alas, involved in the transaction. Let’s just say we both soldiered on with our scheduled appointment and made the best of an awkward situation. Somewhere in the extensive Merritt catalog, I was pretty sure there was a song about the things we have to do that we’d rather not. Or would be soon. 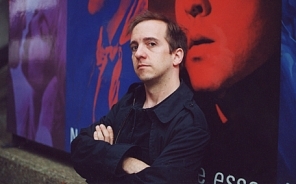 “Um, do you want to ask me one of those questions?” Stephin Merritt sounds a bit grumpy. It’s difficult to tell whether the slightly weary (wary?) sounding voice on the phone is the by-product of a songwriter who just doesn’t much care for interviews — that well-intentioned but inevitably contrived exercise whose function is to extract/reveal some sort of truth about, or at least insight into, an artist’s work in the span of a few stolen moments — or whether Merritt’s still suffering the after-effects of having had a wisdom tooth pulled a scant 48 hours before our chat. I’m hoping it’s the latter, but with Merritt, one can’t be entirely sure of cause, effect, or intent. All of which may, ultimately, offer an explanation as to why the man’s genre-hopping music is so endlessly fascinating, so resistant to easy categorization, and so consistently good. Merritt’s been writing songs for more than a decade, of course, in the guise of one of his many alter ego projects — the neo New Wave synth-pop outfit Future Bible Heroes; the gloom-meisterly Gothic Archies; the guest star-studded pop cabaret of the 6ths — but it’s his day job as bandleader of the Magnetic Fields that brought the New York City resident universal acclaim last year when he released 69 Love Songs (Merge), an effort dubbed by Spin as a three-CD “monsterpiece”. The triple-decker boxed set, originally intended by Merritt to be a 100-song meditation on the vagaries of love and performed as an epic musical revue, was subsequently pared down to a more manageable (and slyly suggestive) 69 tunes. The effort ended up being named the No. 2 “Album of the Year” (behind Moby’s Play) in the annual Village Voice ‘Pazz & Jop’ Critics Poll, nabbed Merritt “Artist of the Year” honors in Magnet magazine, and earned him accolades in the New York Times and dozens of other publications. “The album was conceived as a publicity stunt, so though I’m pleased (with the reception given it), I’m not surprised,” Merritt says. 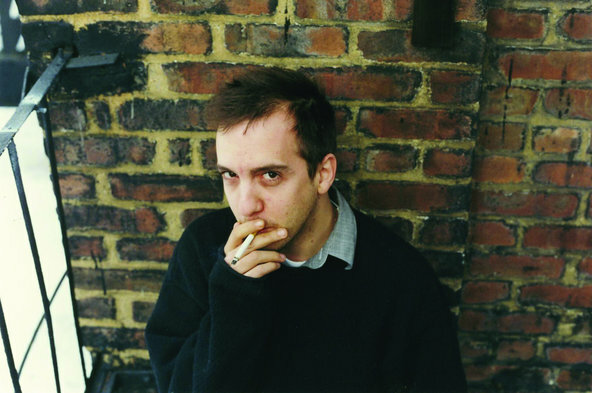 “I would certainly write about a record called 69 Love Songs.” Although he loathes being on the road (“people who say they’re fond of touring are lying”), Merritt’s latest work with the Magnetic Fields has put him solidly back on it, where he and his band have been performing 69 Love Songs en toto. As one might suspect, there’s some preparation involved. Wrong place to inhale Mr. Merritt. Although the original plan was to perform the entire set only once, at the New York premiere for the album, Merritt says “it worked well enough so that we did it four or five more times ” in several other cities. But this week’s shows will mark one of the final occasions the entire work will be performed in full. He promises that “the last-ever time we do it” will be next month in London. With its astounding array of musical moods and its devilishly clever collection of sad, romantic, caustic characters in various stages of dreaming, depression, or disarray, 69 Love Songs has only encouraged comparisons of Merritt to heavyweight folks like Cole Porter, Irving Berlin (after whom “Irving”, Merritt’s omnipresent Chihuahua, is named), Phil Spector, and Leonard Cohen. Which is neither inaccurate nor accidental. You don’t have to listen to the Magnetic Fields (or 6ths or Future Bible Heroes etc.) for long before you’ll hear a reference to a songwriting team like Holland-Dozier or a melodic nod to the Ronettes or perhaps Merritt’s all-time favorite band, Abba. In short, he’s as much a fan and student as he is a master of The Pop Song in all of its forms, whether its source is Berlin, Broadway or Motown. “There are all sorts of ways of making memorable songs,” he says when asked if there’s one common denominator, one element that has to be there to grab his attention both as a listener and a composer. “But outside of the obvious ones, of there being a catchy melody or it being repetitive, an interesting or different viewpoint — like ‘Kill the Secretary of State’ or ‘Legalize Pedophilia’, for instance — can help make a song memorable.” And the hardest part of writing a song? “The second verse. In the first verse, I can set up whatever rhyme scheme I want and bring forth the magic in my pen and it’s limitless. And in the second verse, I realize that however clever I was, I have to do it again.” Tough as that may sound, there are worse things. Like having to talk after a pulled wisdom tooth, for instance. 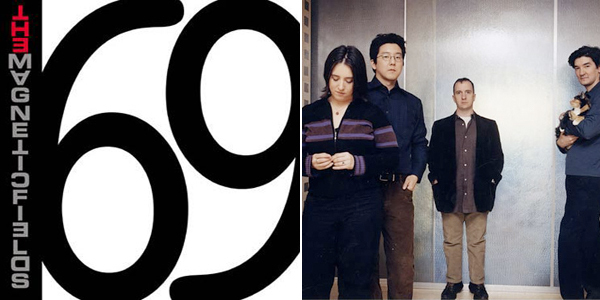 The Magnetic Fields, *69 Love Songs*, Vol. 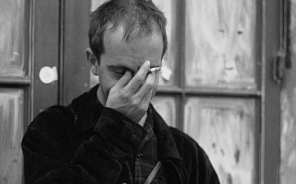 1-3: In the creatively stunted but commercially boffo ‘99 pop world of walking toothpaste commercials (Britney Spears, Ricky Martin) and rap-metal morons (Limp Bizkit, Korn), thank goodness we had Stephin Merritt and his Magnetic Fields to remind us what great pop sounds like. With this monumentally ambitious collection of songs — *songs* dammit — Merritt casually claimed the place some of us have always reserved for him: as a Cole Porter/Phil Spector/Leonard Cohen for the 21st century, watching the world from the secret penthouse suite of his very own Brill(iant) Building. Sixty-nine songs, a thousand stories, and an endless imagination. “When My Boy Walks Down The Street” would have been worth the price of admission alone. 2. Beck, *Midnite Vultures* (DGC). 14 POINTS. 3. Mojave 3, *Out of Tune* (4AD/Sire). 13 POINTS. 4. Wheat, *Hope and Adams* (Sugar Free). 12 POINTS. 5. The Flaming Lips, *The Soft Bulletin* (Warner Bros.). 11 POINTS. 6. Olivia Tremor Control, *Black Foliage: Animation Music Vol. 1* (Flydaddy). 9 POINTS. 7. Sparklehorse, *Good Morning Spider* (Capitol). 8 POINTS. 8. Moby, *Play* (V2). 7 POINTS. 9. Beth Orton, *Central Reservation* (Arista). 6 POINTS. 10. Sloan, *Between The Bridges* (Murderecords). 5 POINTS.